William Alloway is one of the country’s rising sailing stars. 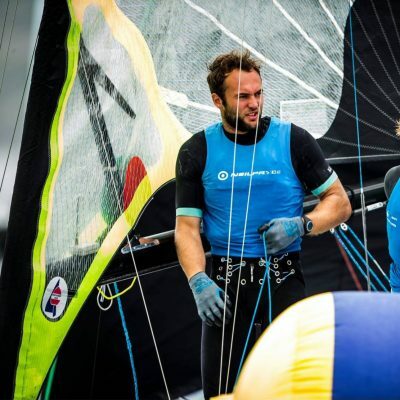 Alongside studying a degree at Plymouth University, the 21-year-old is part of a two-man crew running a full time Olympic campaign in high-performance 49er sailing dinghies. After being inspired to sail by his family’s involvement in the sport, Will has gone on to become two-time 29er national champion. He is now working towards competing at the Tokyo 2020 Olympics and Will is setting his sights on a gold medal in his discipline. Will grew up in Leicestershire and uses Everyone Active’s Parklands Leisure Centre to train. He also uses the Plymouth Life Centre during term time while at University.